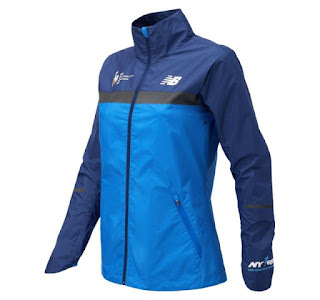 Today ONLY this Women's New Balance NYC Marathon Windcheater Jacket is $29.99 (Retail $129.99). Take a piece of the glory with you with the official jacket of the TCS New York City Marathon, made in collaboration with the New York Road Runners. The full-zip silhouette is cut from lightweight woven fabric with reflective taping shines under big-city lights. Plus, modern Marathon branding pays tribute to the global runners who participate in the biggest marathon in the world, making this an ideal commemorative piece for the TCS New York City Marathon. As the official jacket of the TCS New York City Marathon, this women's layer is an ideal commemorative piece or badge of honor that performs on tough runs and brings style to your everyday look.